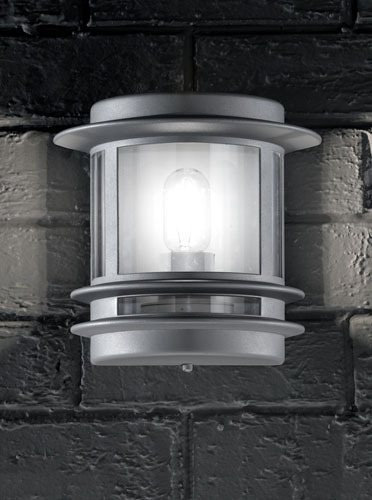 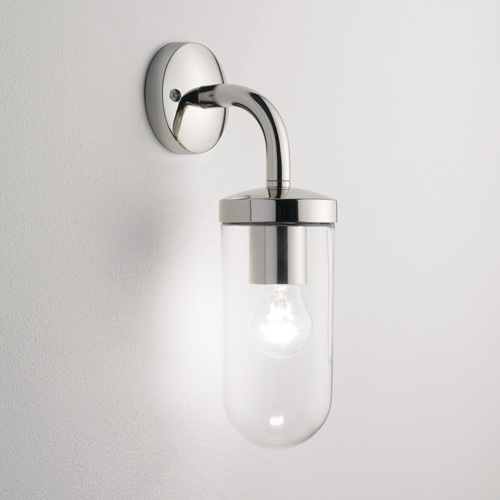 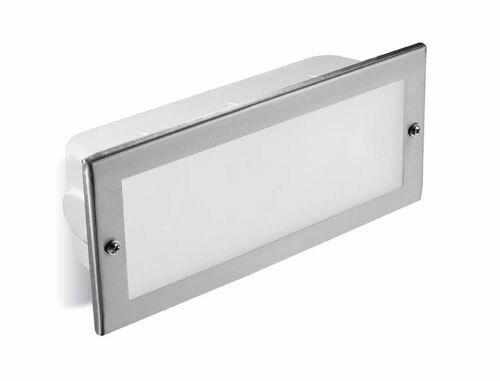 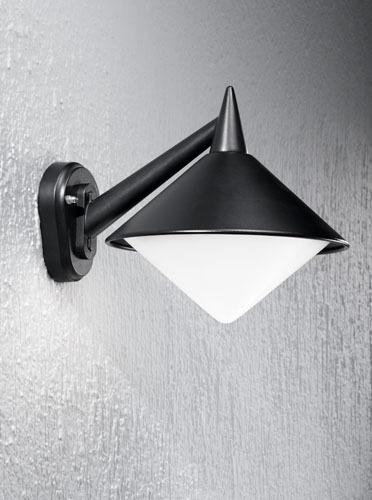 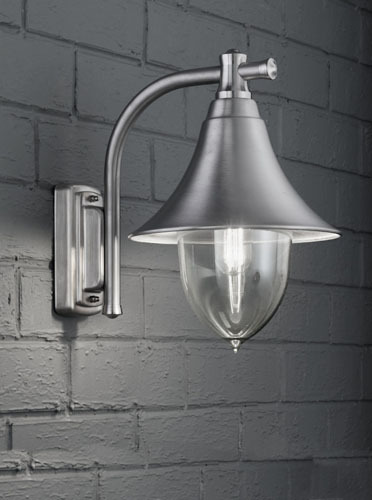 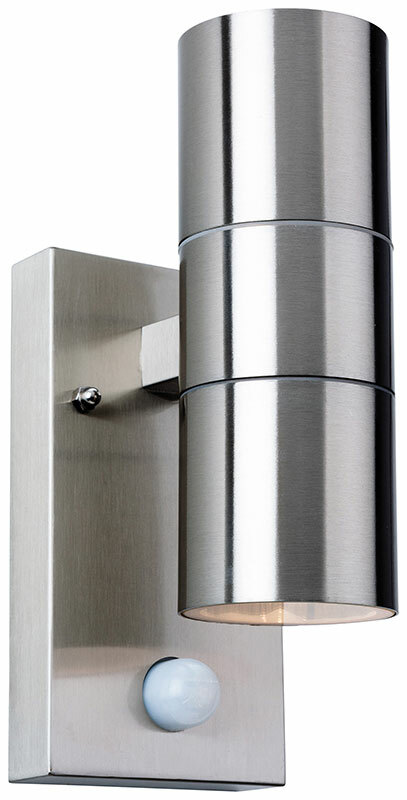 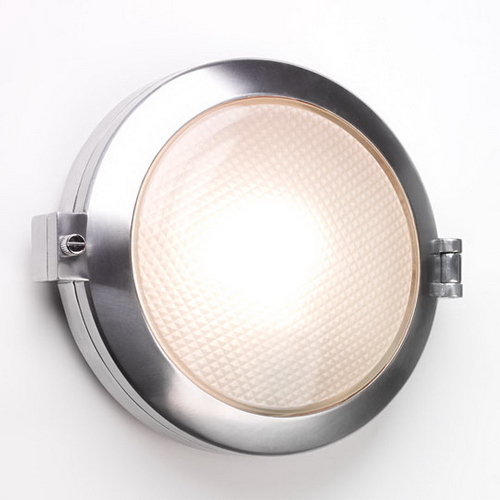 Here at Angelos Lighting in North London, we sell a huge range of outdoor garden lighting including outdoor wall lights, security lights, patio lights and lampposts. 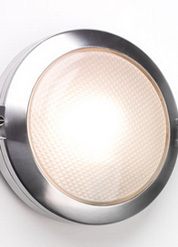 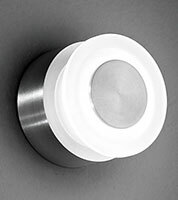 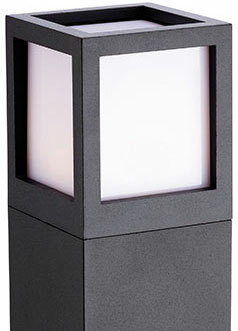 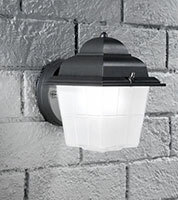 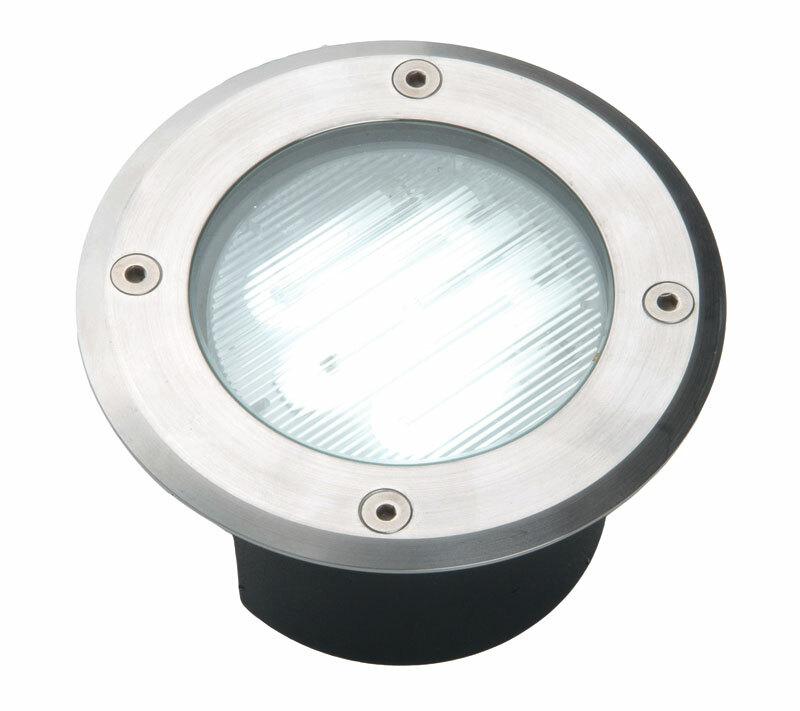 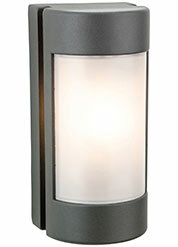 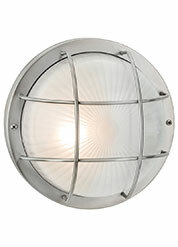 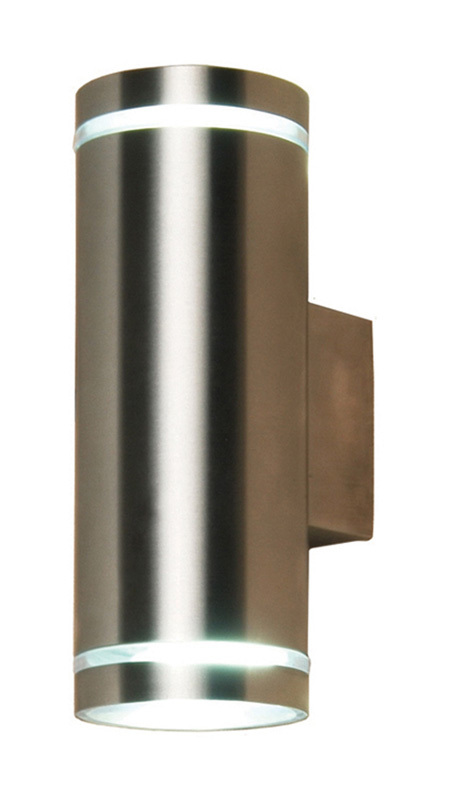 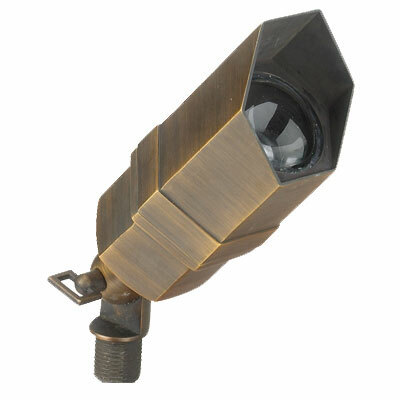 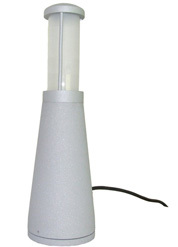 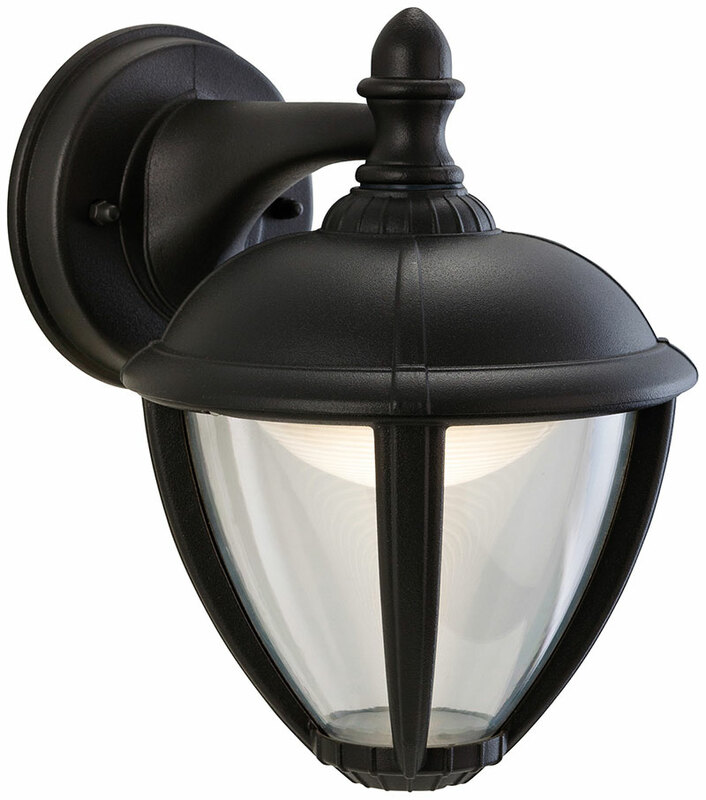 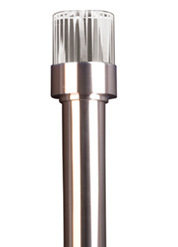 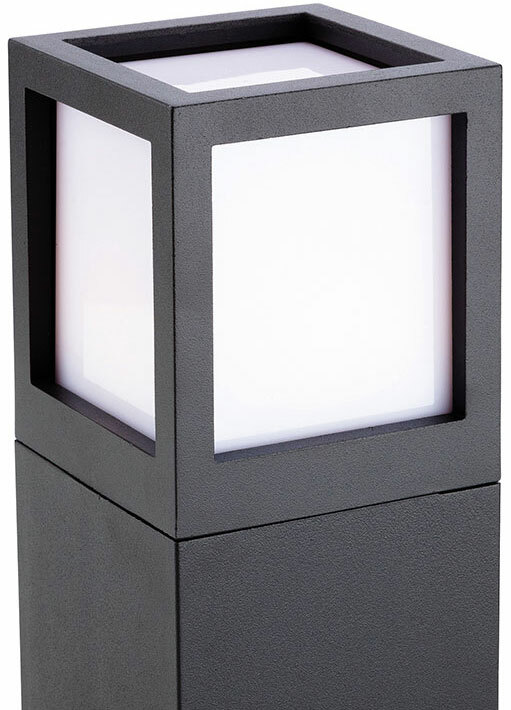 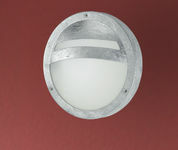 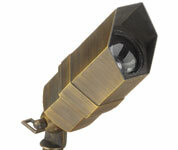 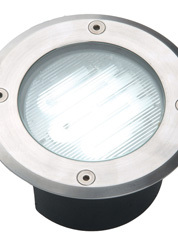 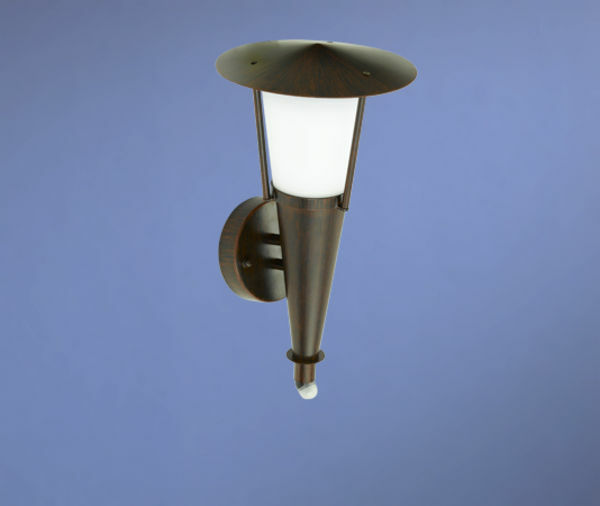 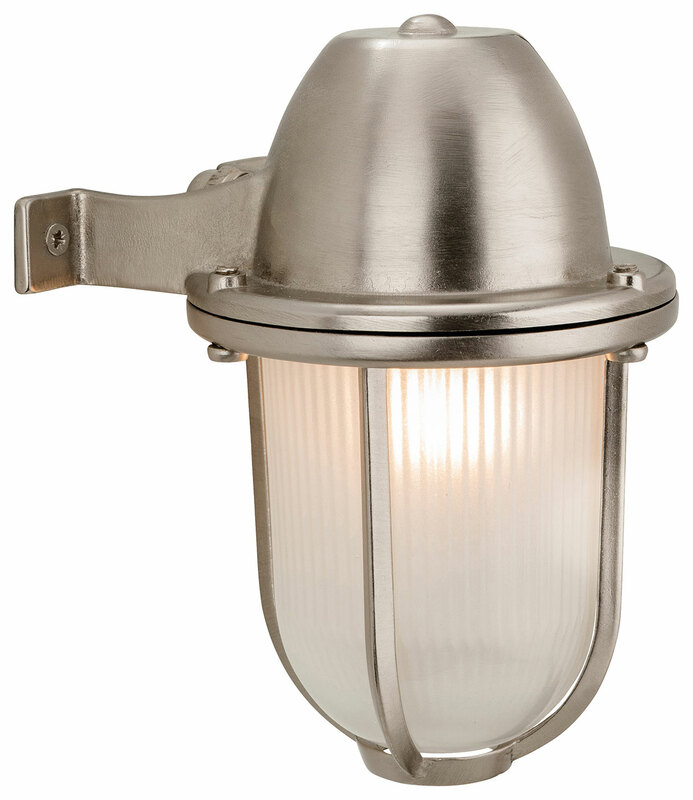 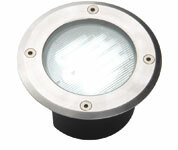 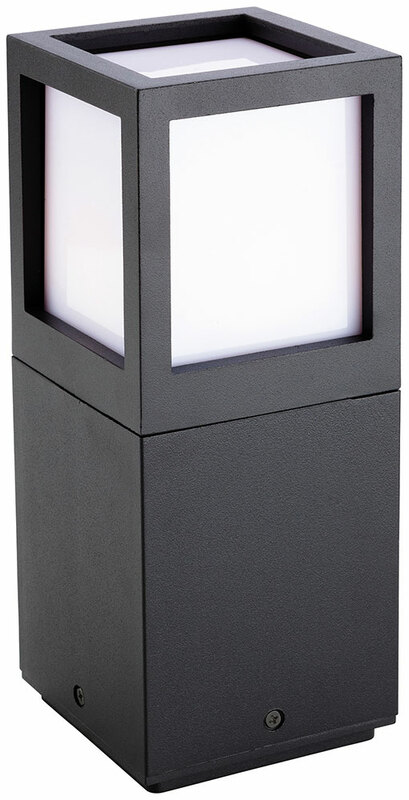 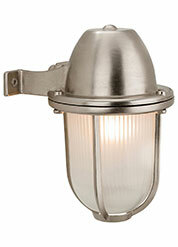 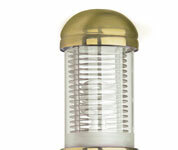 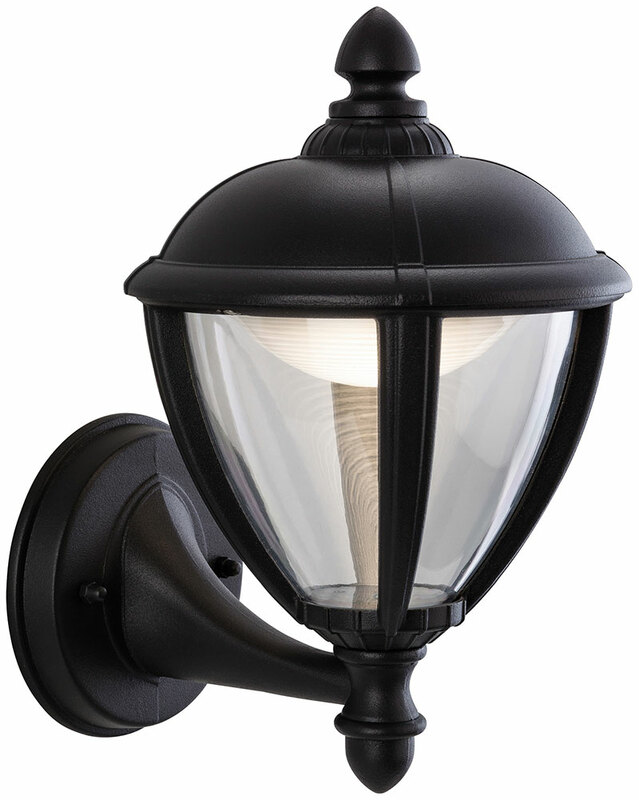 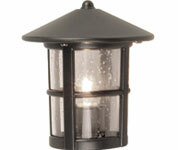 Browse our outdoor garden lighting by clicking on the images below. 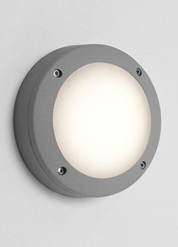 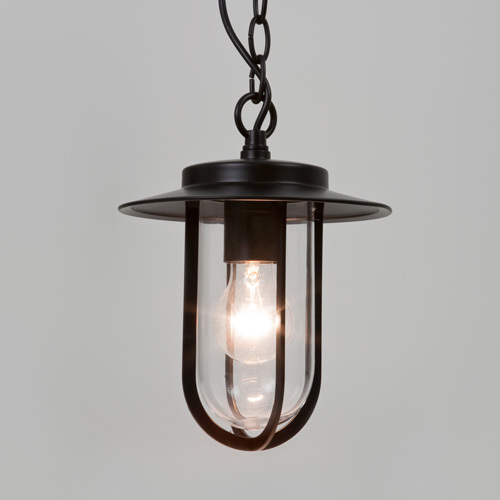 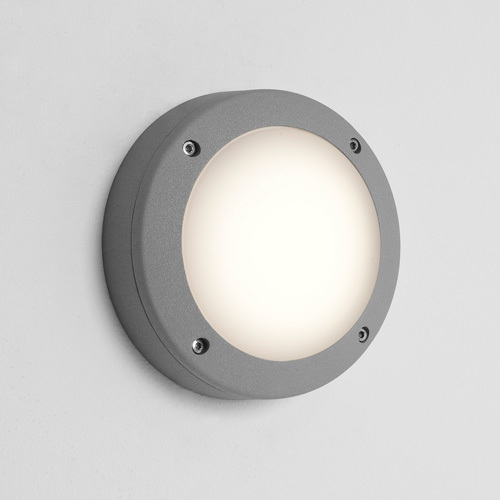 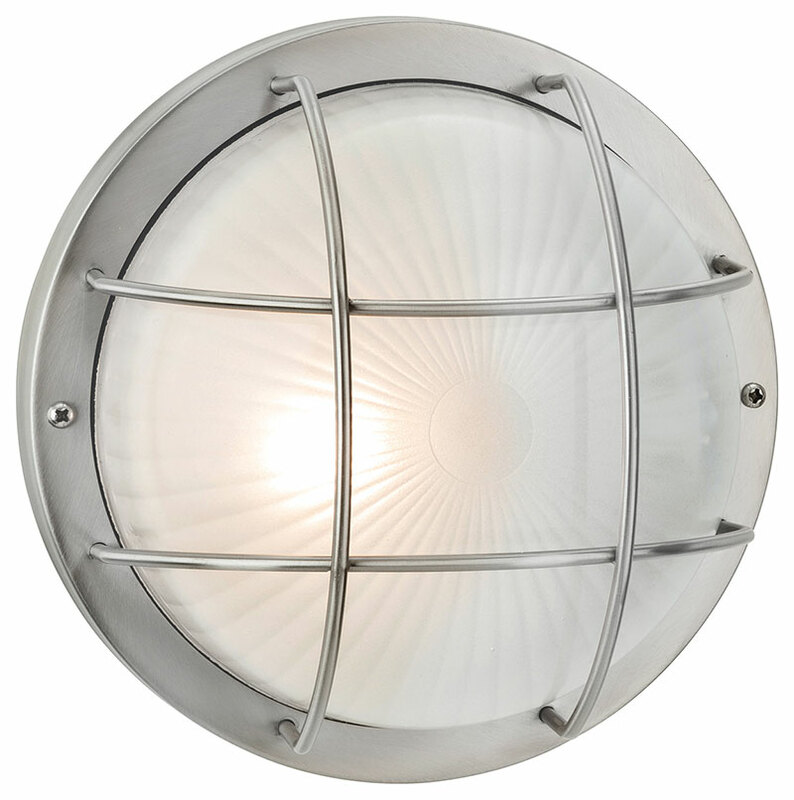 All of our outdoor lighting is available to buy by visiting our shop in Turnpike Lane (N8). 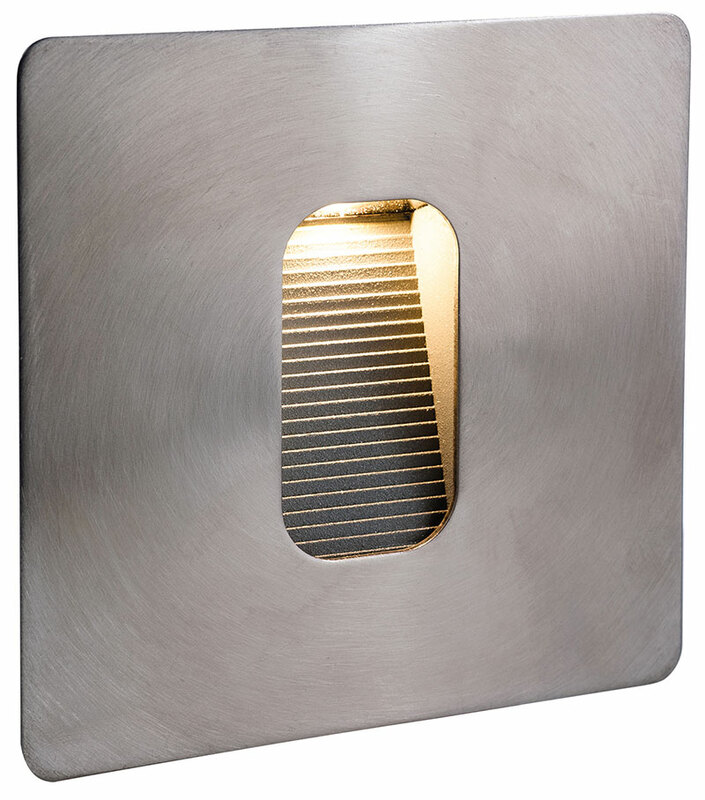 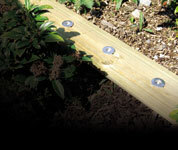 Alternatively call us on 020 8482 2688 and purchase over the phone. 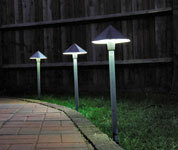 There are three main reasons people buy outdoor garden lighting. 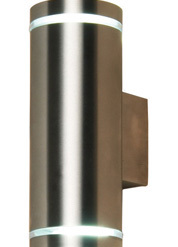 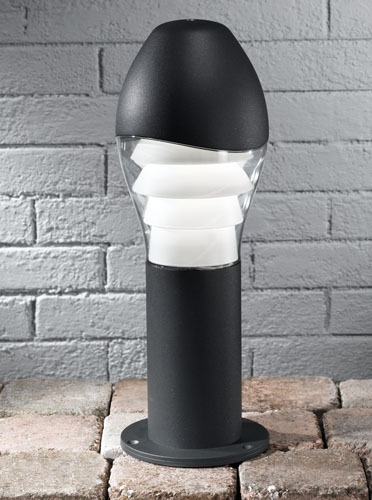 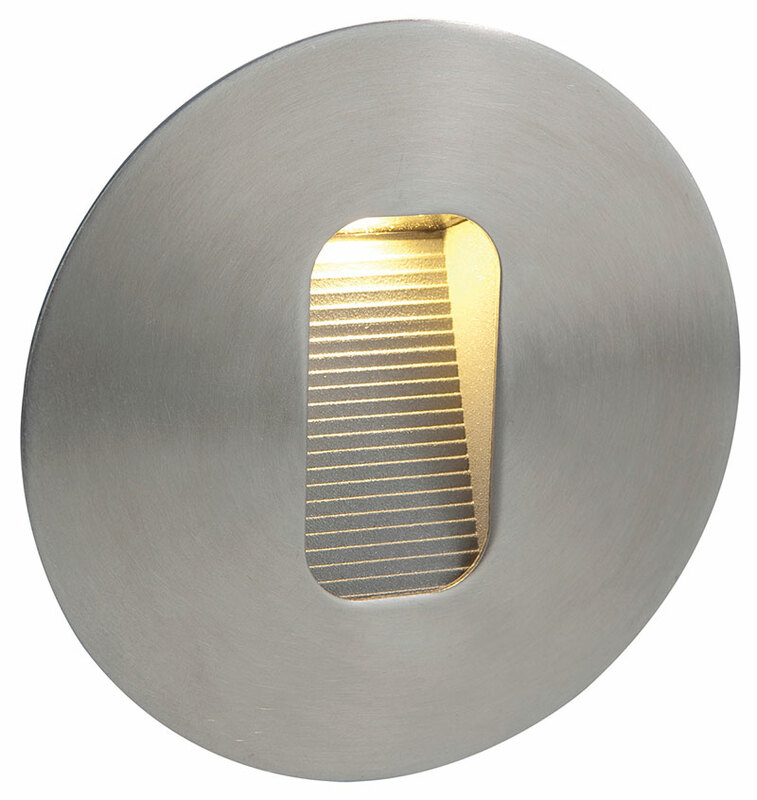 These are for providing much needed safety and security, to light up patio and dining areas for summer parties and barbecues and also to enhance the aesthetics of your garden. 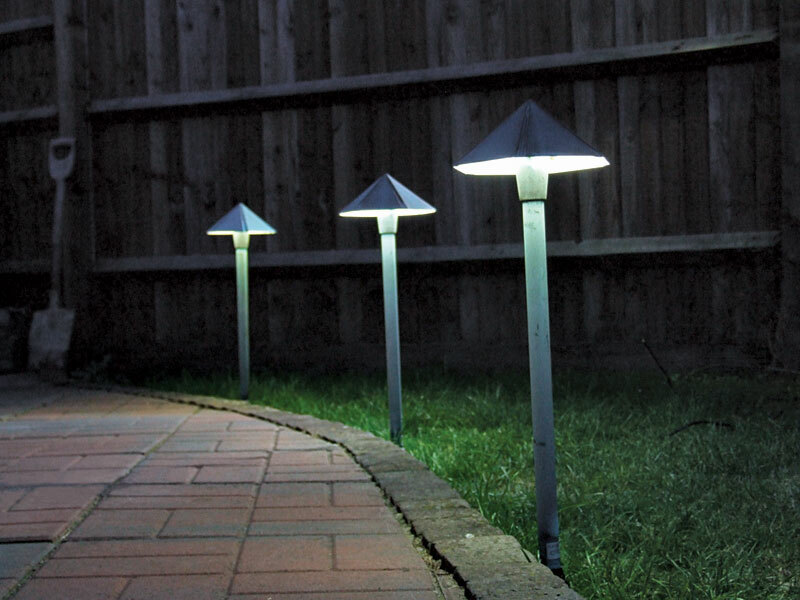 Read on below for our guide to outdoor garden lighting. 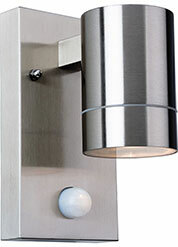 Creating a safe, secure home is an important goal for most people. 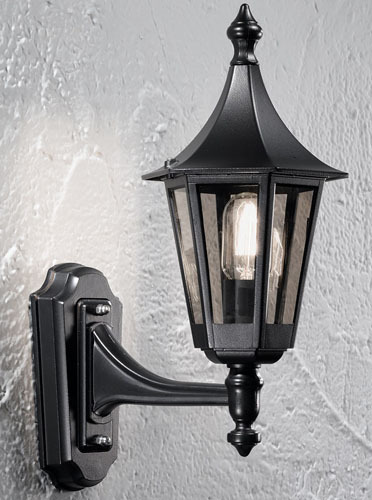 Returning to the house in the dark and fumbling for keys is not a pleasant experience; far better that the outside of your home around your front door is properly lit with the right exterior lighting. 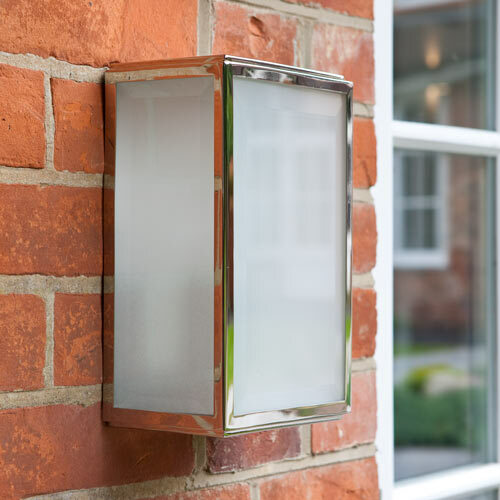 Wall lights and lampposts in your front garden will light up your home's entrance and make it friendly and inviting, both to you and those who visit. 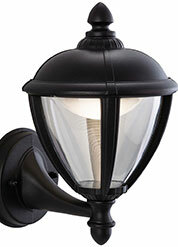 The extent to which you choose to illuminate your driveway or porchway entrance will depend greatly on its size. 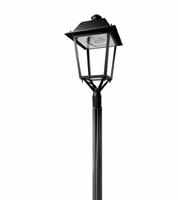 If you are fortunate enough to have a long driveway for example, you may wish to light the way with a number of lampposts, which will make the journey up the drive clearly visible and help to avoid accidents. 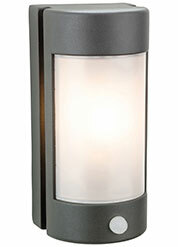 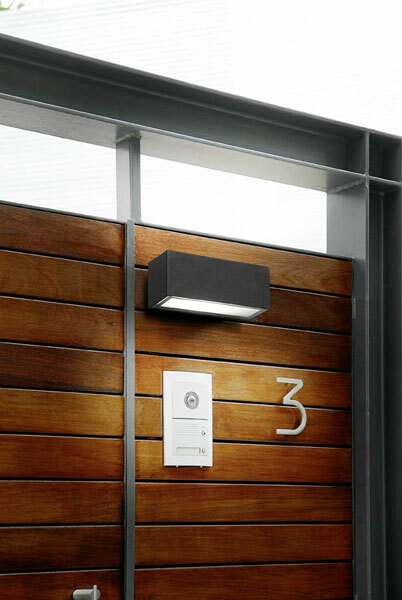 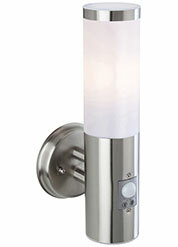 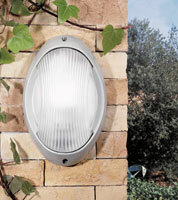 Outdoor lighting in key locations is also important to stop friends and family from tripping over in the dark. 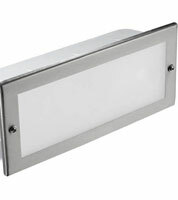 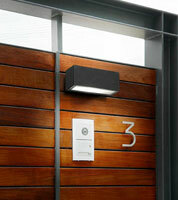 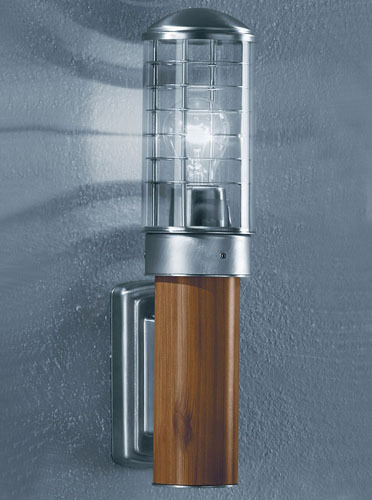 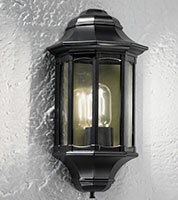 Key areas to illuminate are from the garage to the front door, from the back door to the patio and around any walkways. 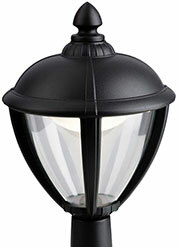 As well as acting as a guidance system, your outdoor home lighting forms a useful deterrent to any would be intruders. 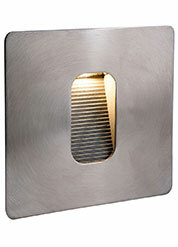 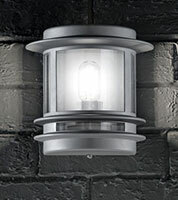 Well lit houses are not such appealing targets as poorly lit properties as there are less places for someone to hide. 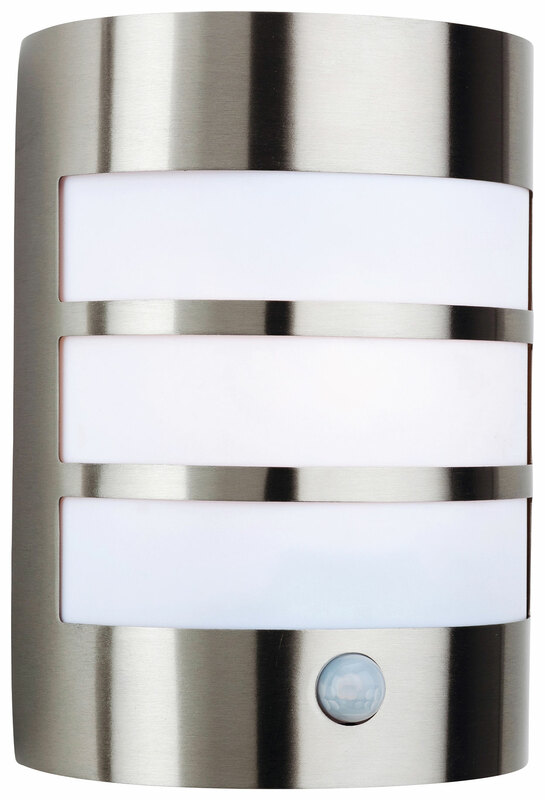 For energy efficient security, PIR lighting (Passive Infra Red lighting) is a system which is activated in response to movement. 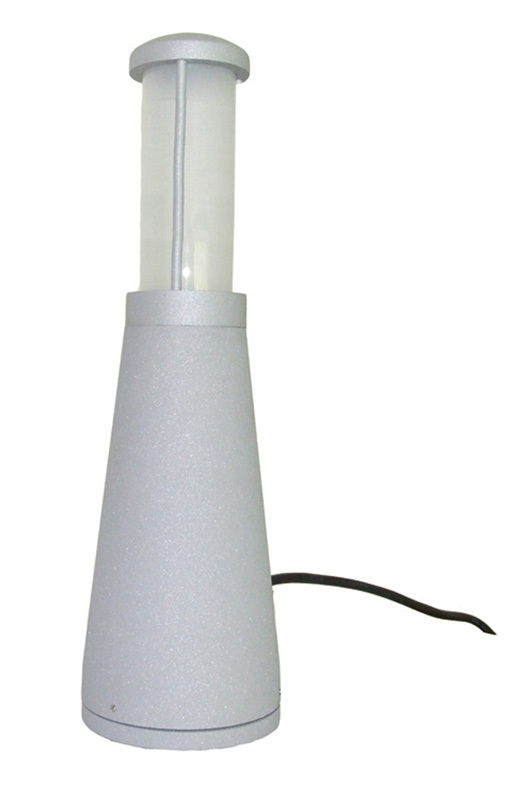 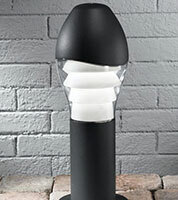 These lights will alert you of any unexpected visitors in the garden and will remain switched off when not in use. 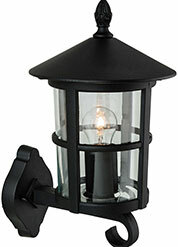 To get the maximum enjoyment from your garden whatever the time of year, install patio lighting. 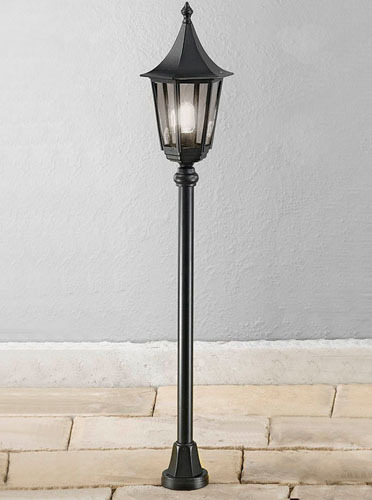 It is always a shame to have to end an evening early in your outside space, particularly if it happens to be going well. 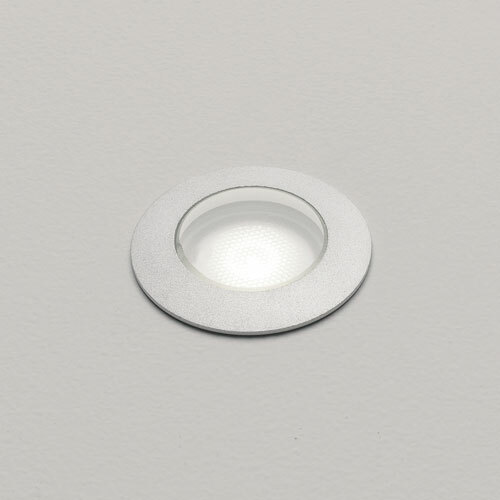 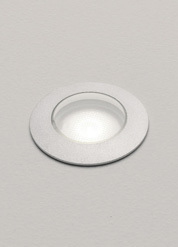 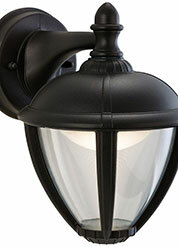 With patio lighting installed, you wont have to. 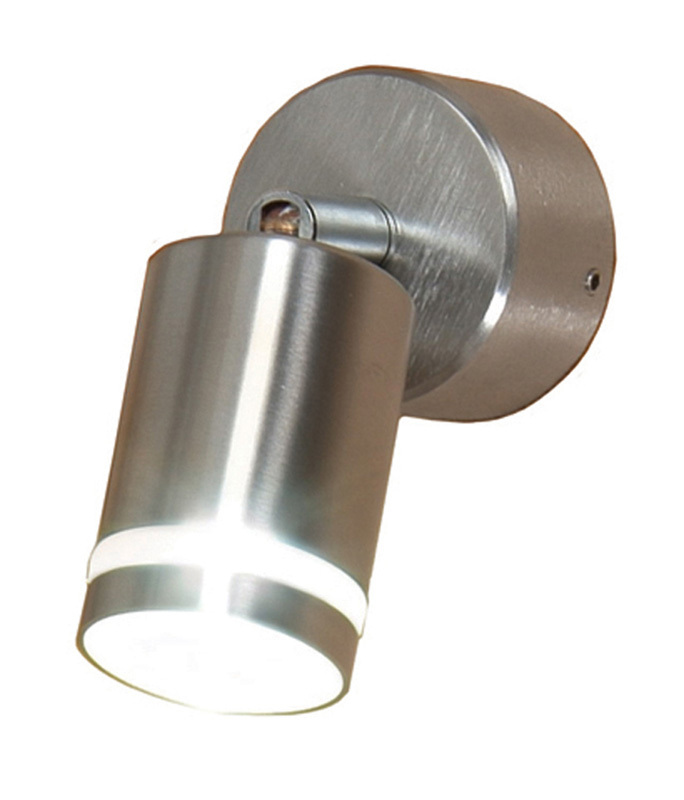 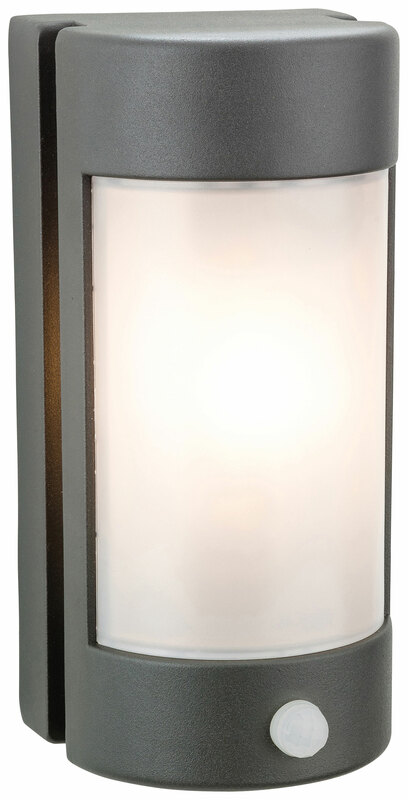 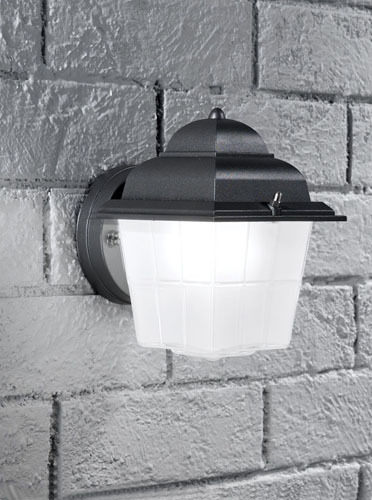 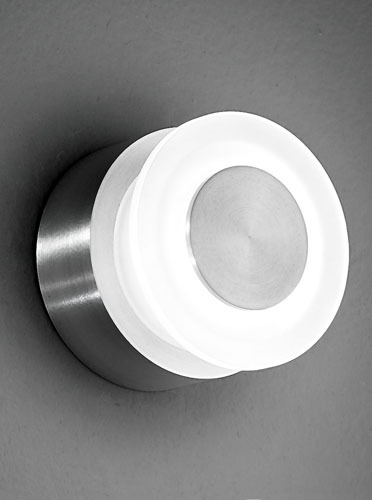 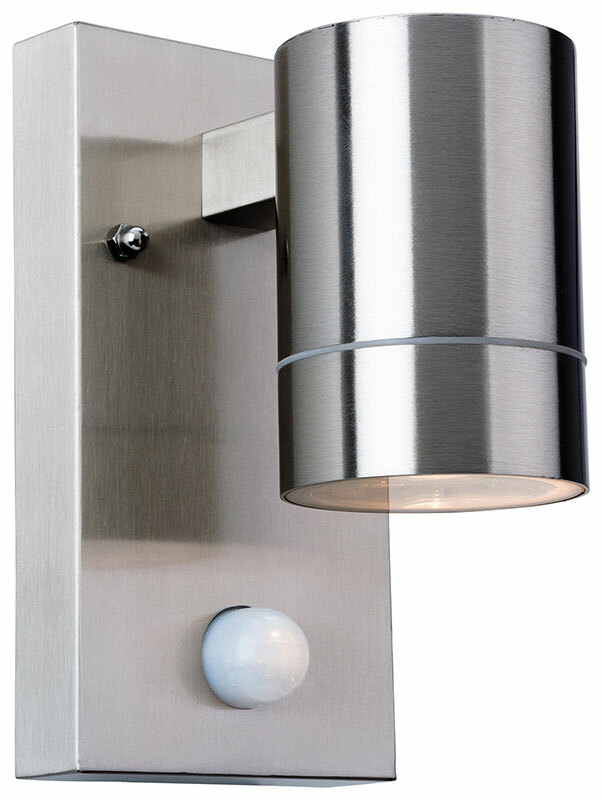 Patio lights are available in a vast range of styles too so you wont have a problem finding a patio light to match your home. 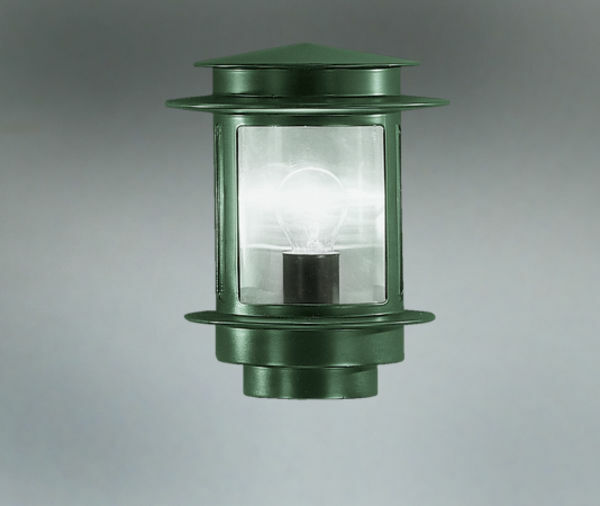 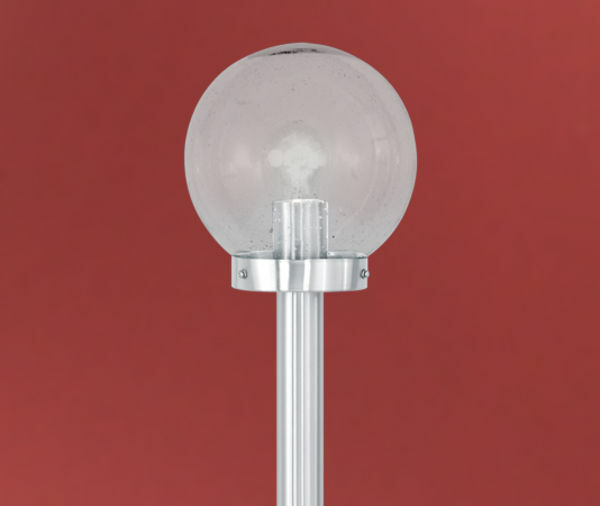 Older style homes would suit the older style cast iron look lighting and lamp posts, whereas the more modern home might benefit from the installation of lights designed in a more contemporary style. 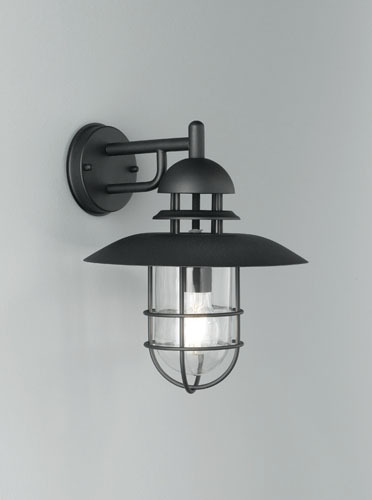 Whatever style of patio lighting you opt for, you’ll be delighted with the results and wonder why you waited so long to have them installed in the first place! 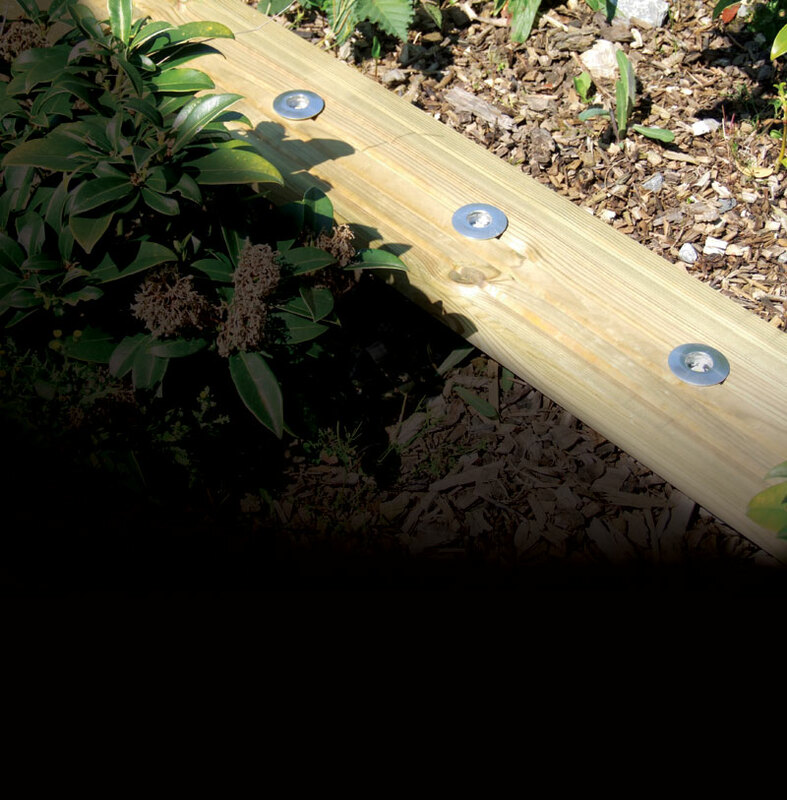 Feature lighting can help you to highlight areas of interest in your garden such as a statue, beautiful tree or seating area – to really show your garden off at its best! 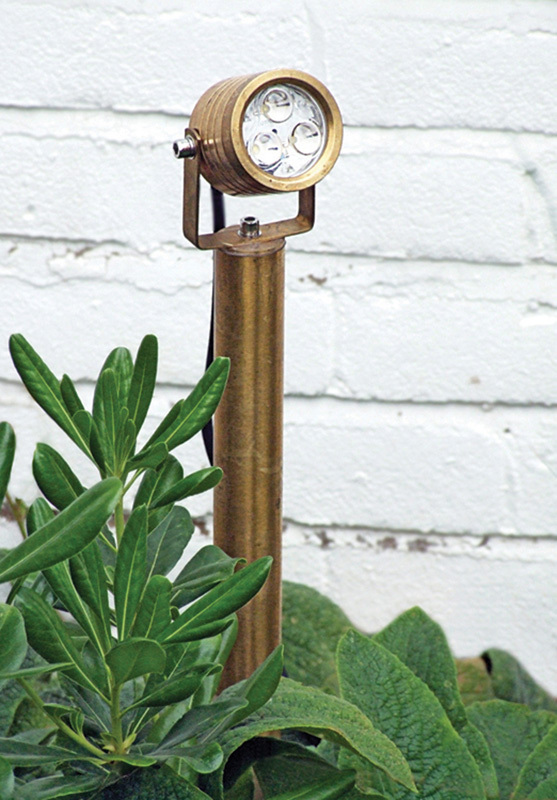 Garden lights can be used to create focal points – directing light at pergolas, ponds, water features, garden art and foliage to draw the eye and create an interesting view from the home or patio areas. 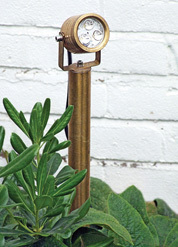 Garden lighting can be used to draw attention to large areas of water such as a pool or pond, to emphasise the natural beauty of these areas, and raise awareness of their location to help prevent accidents. 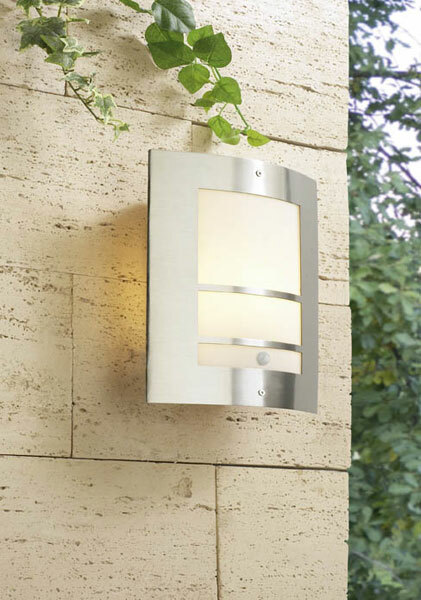 Lighting can be added to the back of a garden, to enhance a feeling of space. 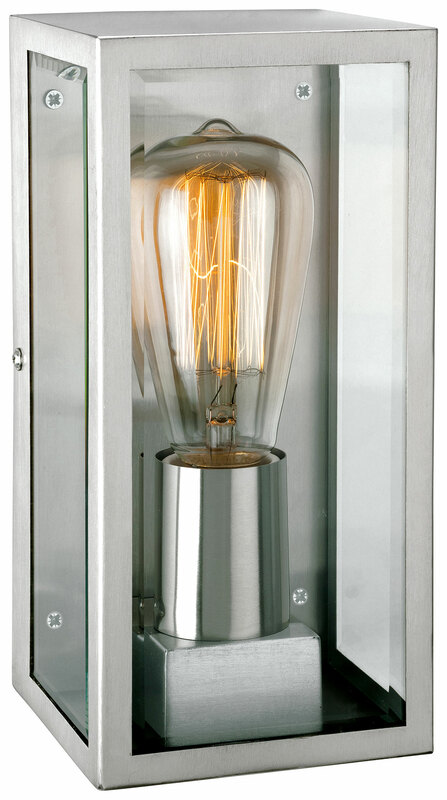 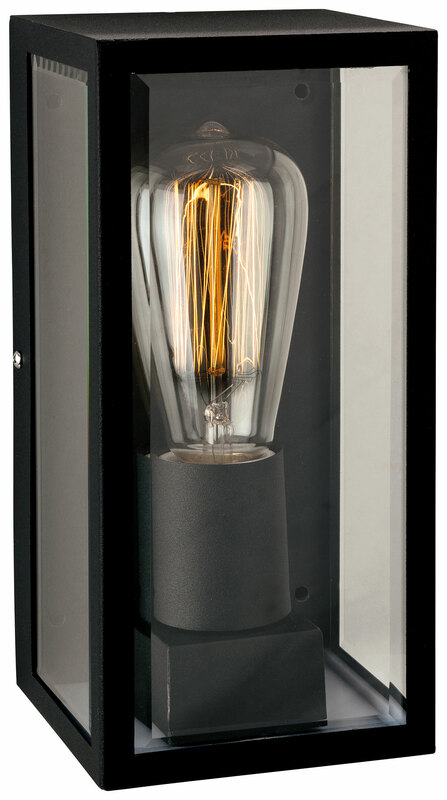 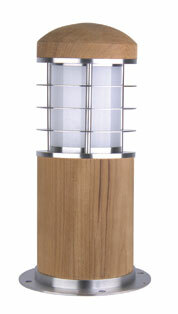 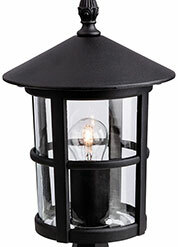 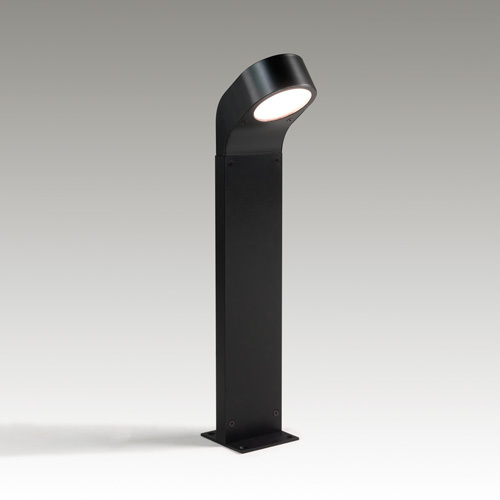 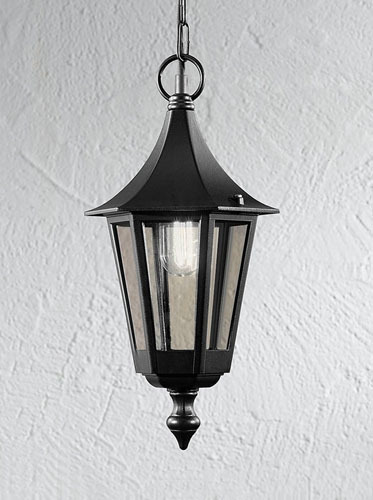 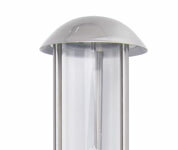 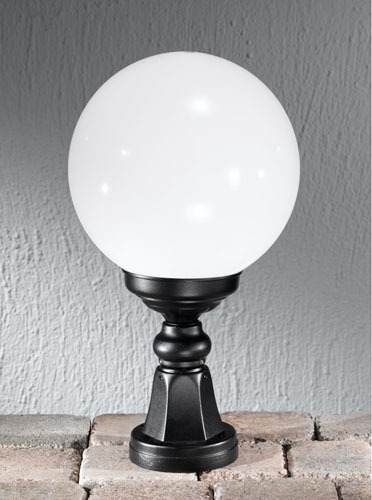 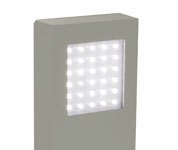 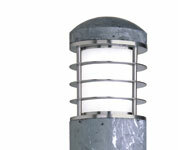 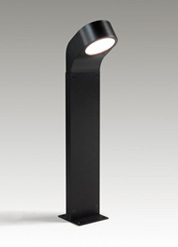 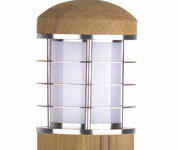 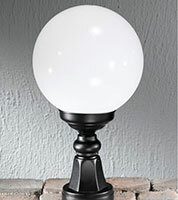 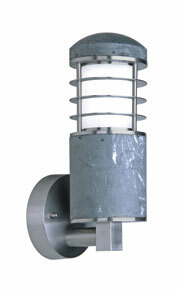 Here at Angelos Lighting we offer a full range of outdoor garden lighting from our store in North London. 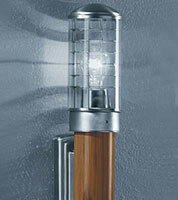 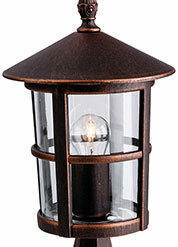 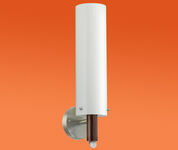 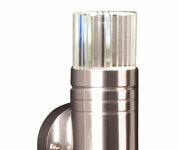 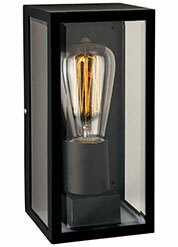 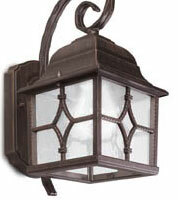 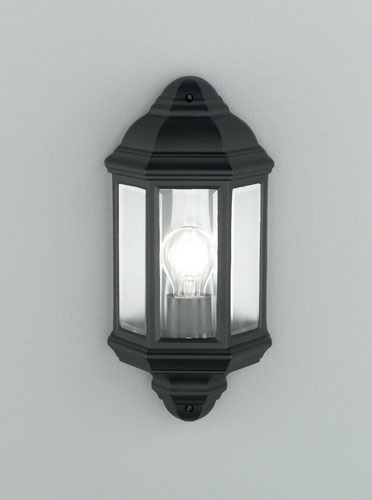 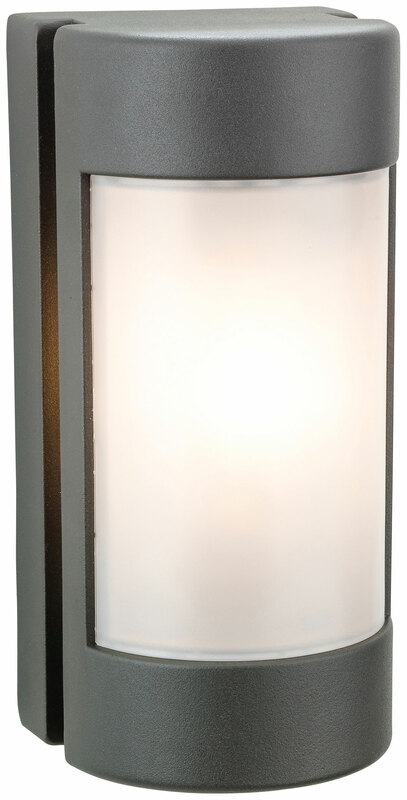 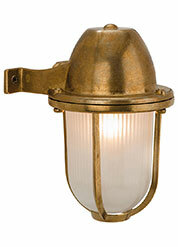 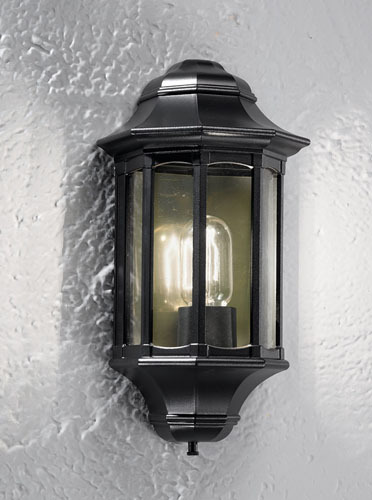 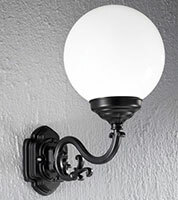 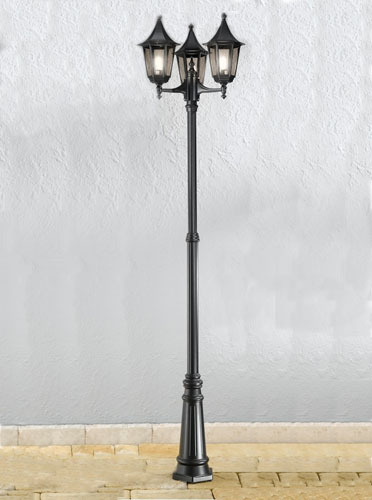 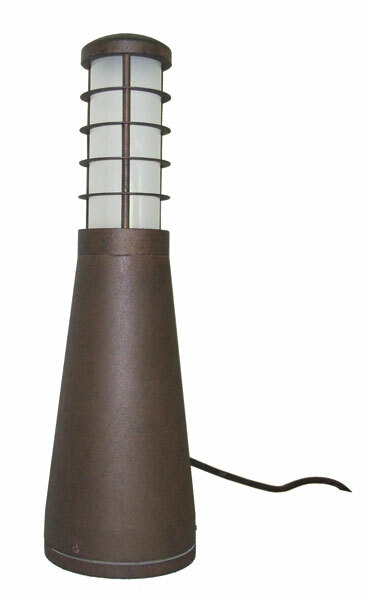 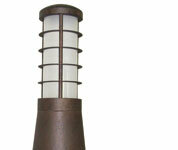 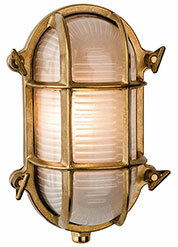 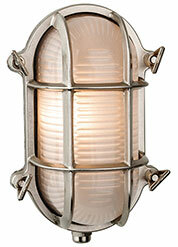 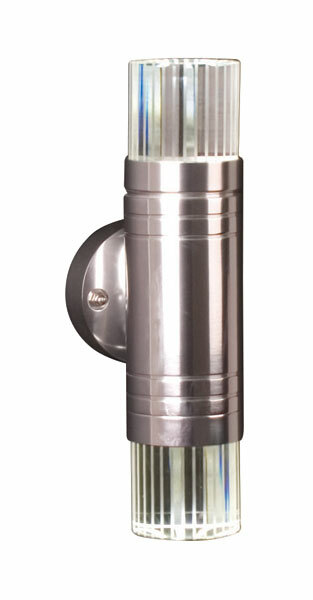 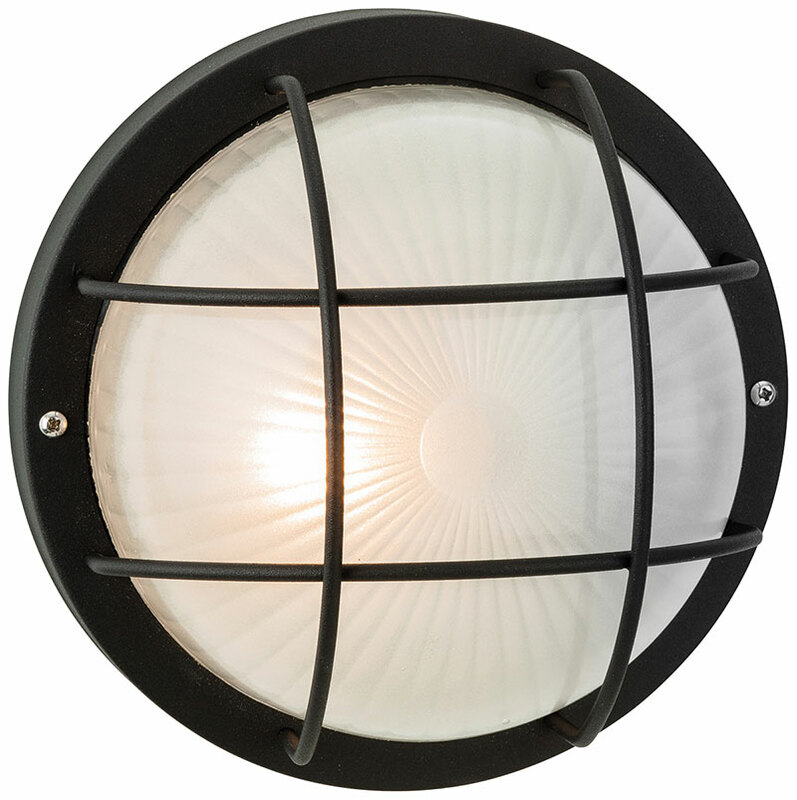 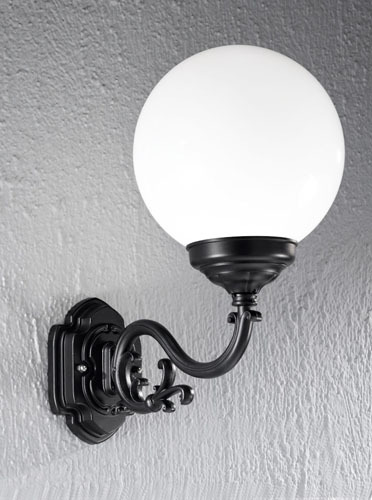 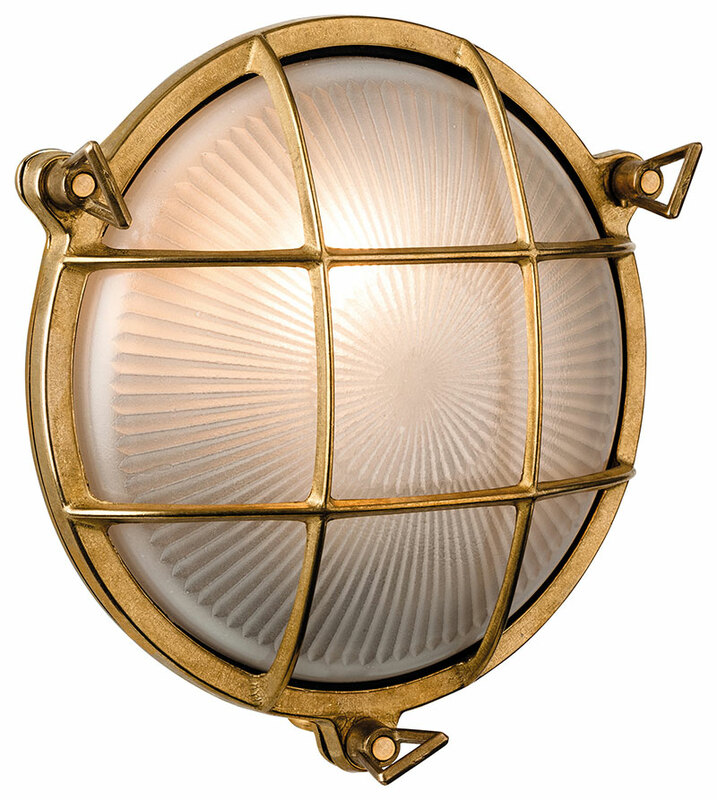 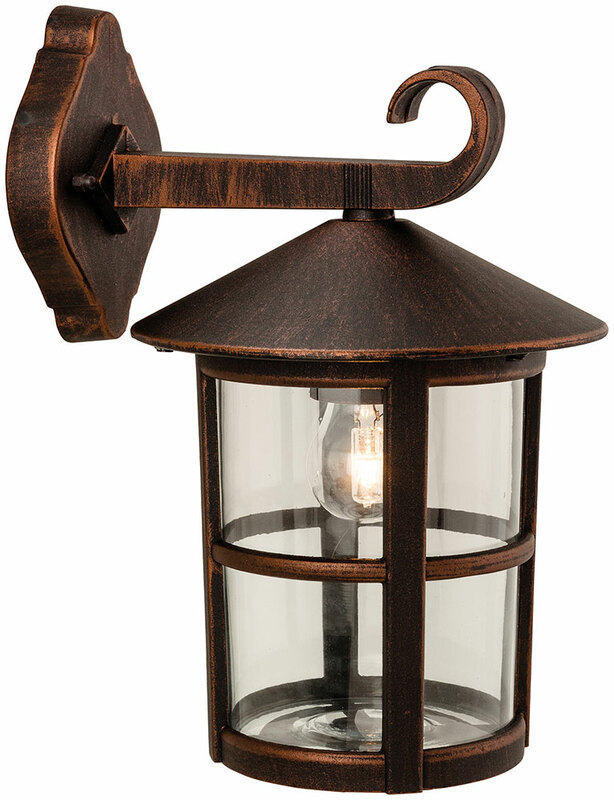 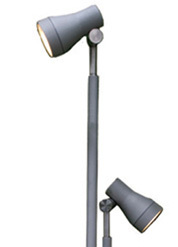 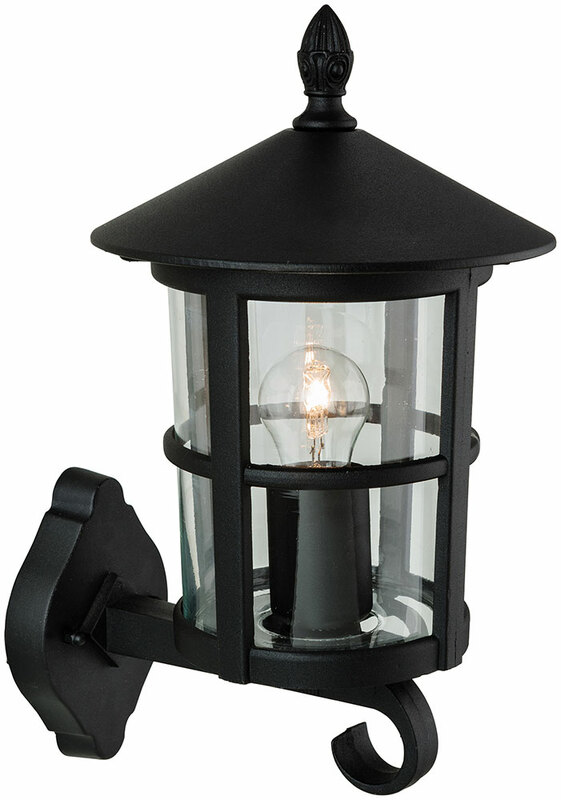 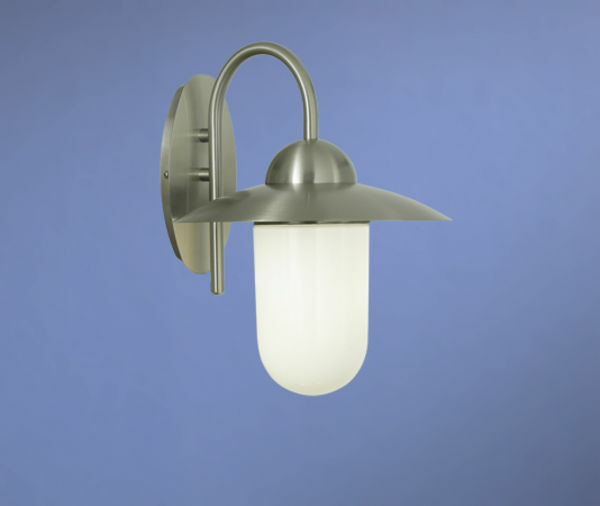 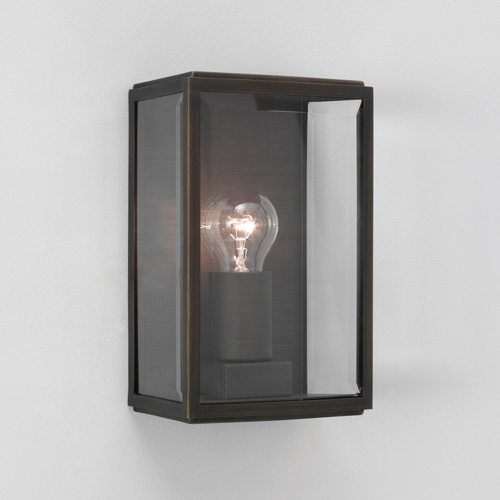 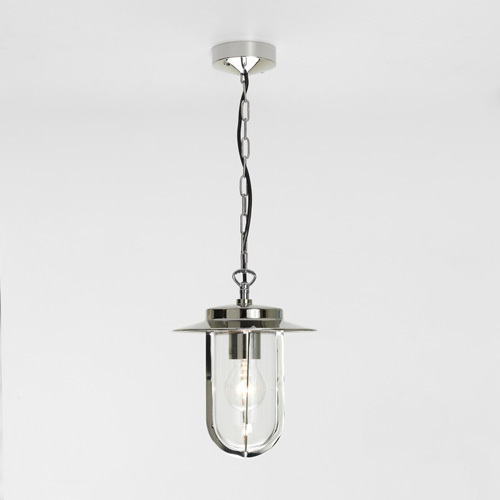 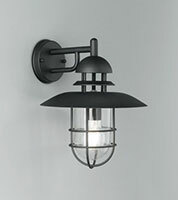 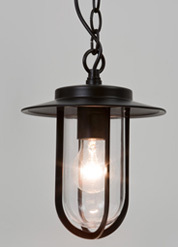 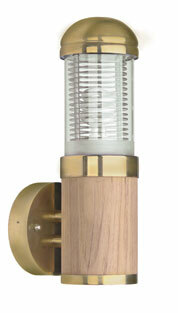 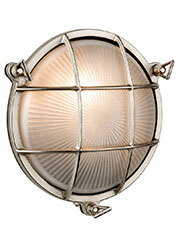 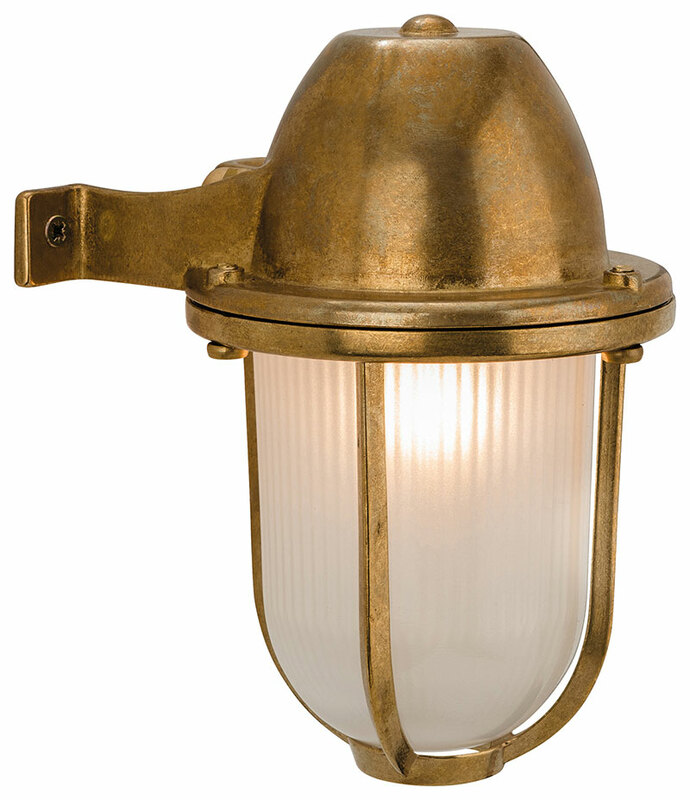 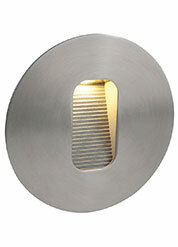 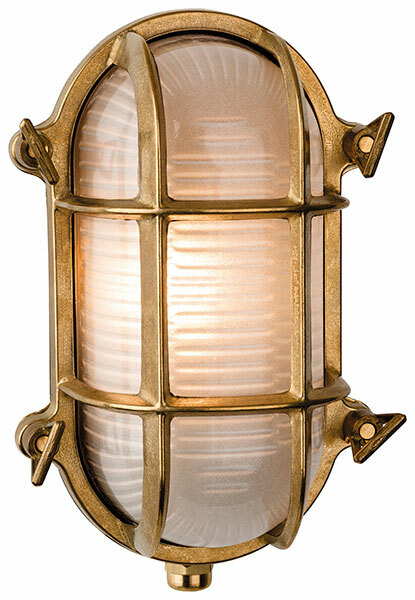 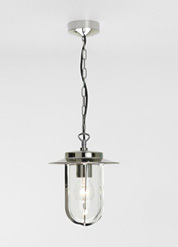 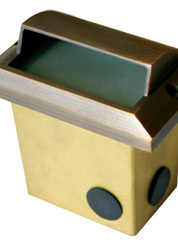 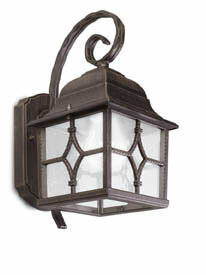 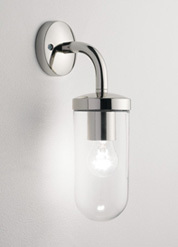 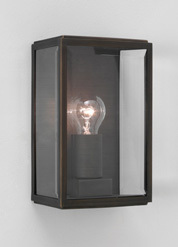 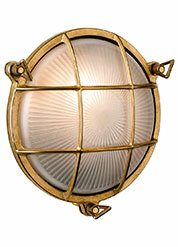 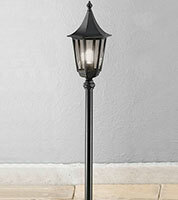 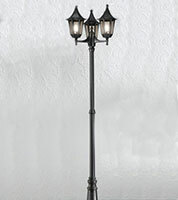 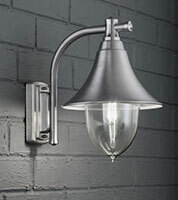 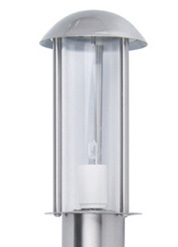 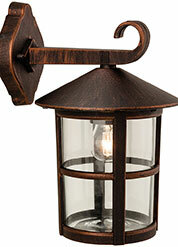 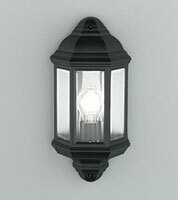 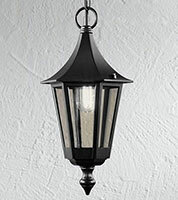 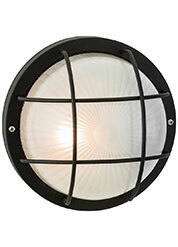 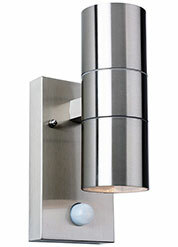 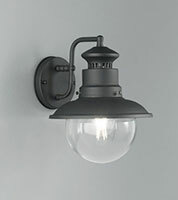 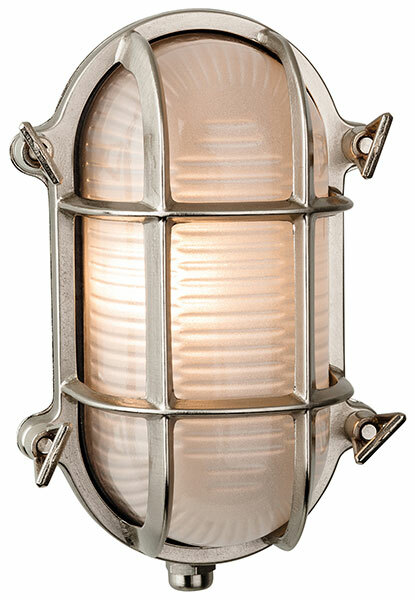 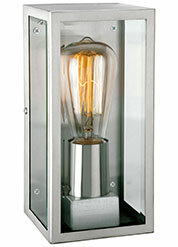 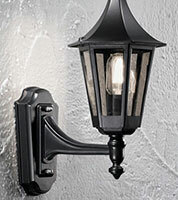 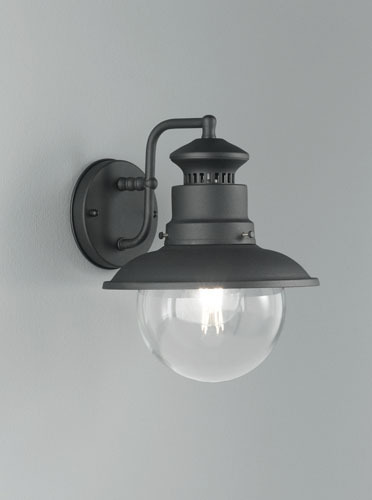 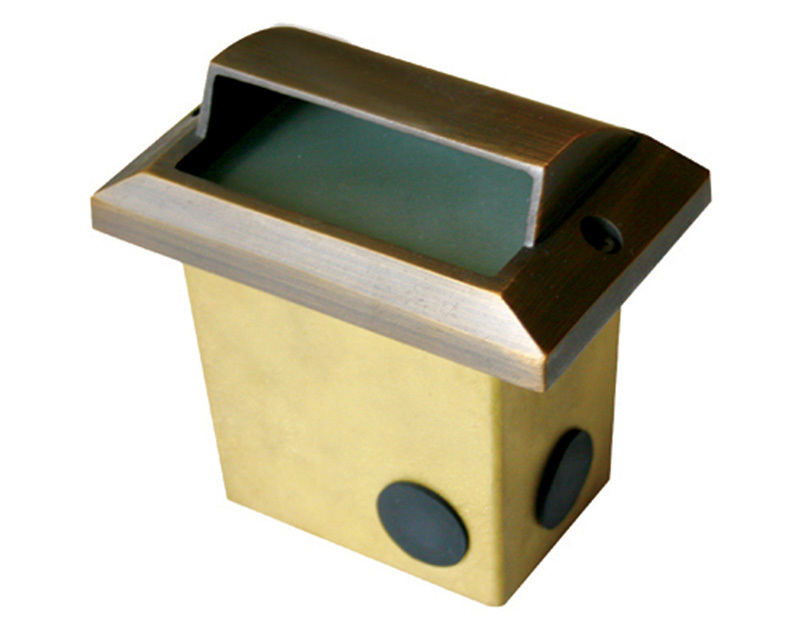 You will find in our lighting showroom patio lights, garden wall lights, garden lampposts, and lanterns. 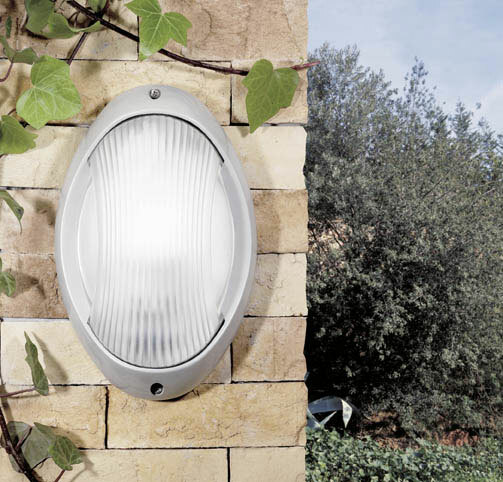 Some examples of our garden lights are shown here above – but for the full range, come and see us and talk to our expert lighting consultants. 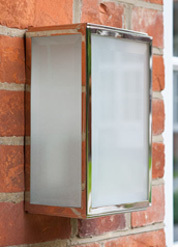 We will help you find the right products to suit your exterior requirements. Outdoor Garden Lighting – click here to view the location of our lighting showroom in North London.